What would you do if your 7-year old daughter was diagnosed with cancer? In order to get young Julia the best possible care, Jennifer and Jonathan Cobb made a radical decision. They split up their close-knit family. Jennifer, the mom, took Julia and baby Jaxie to live in Houston for nine months so Julia could be treated at MD Anderson. Jonathan, the dad, who is a minister, stayed behind in Alabama so he could continue working. The couple’s two oldest children, Jenna, 8, and Jonathan, Jr., 11 stayed with him. 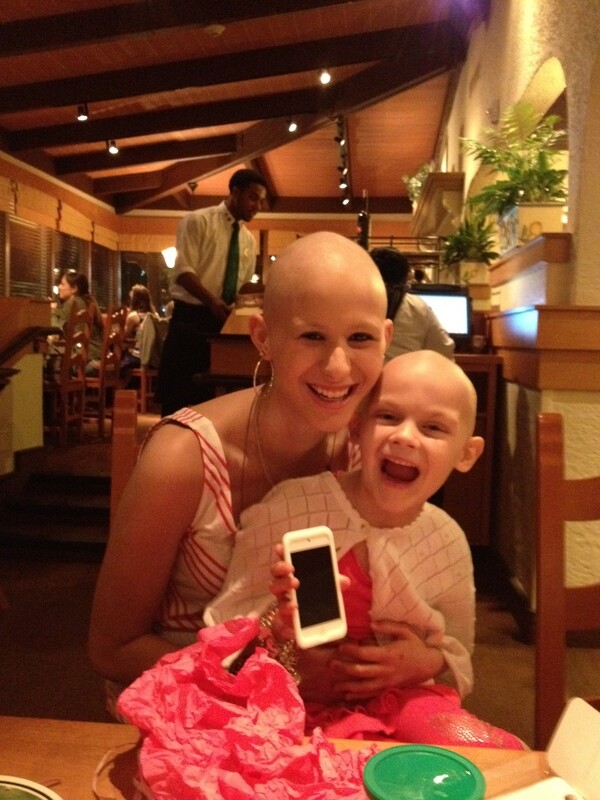 Last spring, Summer met Julia at MD Anderson and gave her a Team Summer gift – an iPod touch. Julia had been wearing out her mom’s iPhone listening to music during her chemotherapy treatments. Now Julia could listen to her own music whenever she wanted. 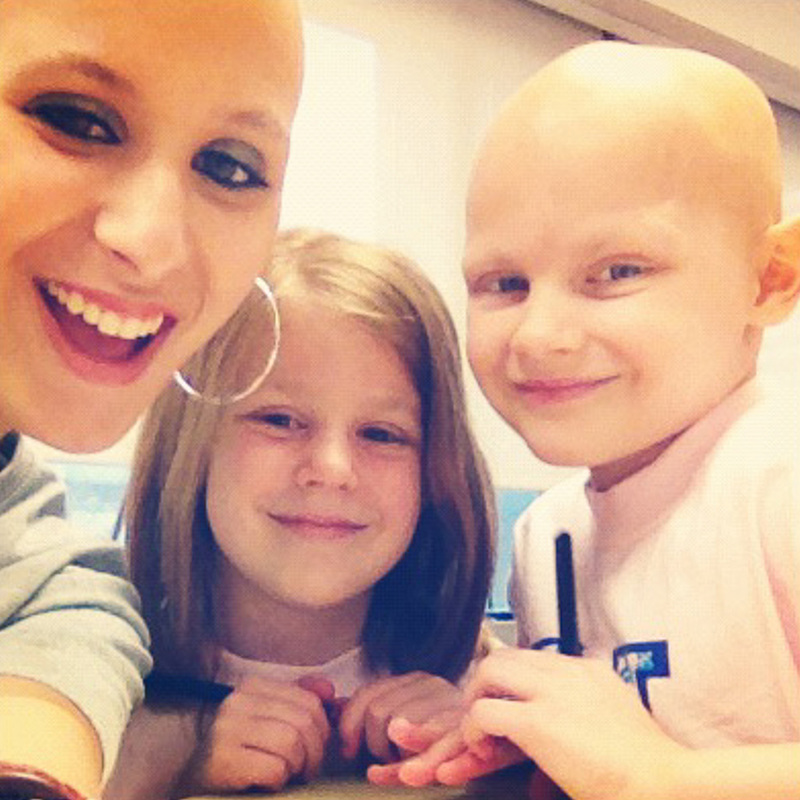 Summer fell in love with sweet Julia, her sister, and her mom. So he packed up the two older kids and headed out. No job. No place for the seven of them (including his mother) to live. His decision was purely an act of faith. When Summer heard what was going on, her heart immediately went out to them. She’s hoping that all the wonderful supporters of Team Summer can help. She rush-ordered Team Julia bracelets in Julia’s favorite color – purple – and they are now available for sale for $5 each at http://teamsummer.org/donate/. Click on Team Julia. Half the money raised will go directly to Julia’s family to help them get settled in Houston, and the other half to help buy gifts for other kids with cancer. You have already shown us what the power of your collective voices can do. The day before Summer’s brain surgery two weeks ago, donors like you raised $10,000 for Team Summer in just one magical day. Tomorrow, Thursday August 2nd, Summer is undergoing the second procedure to attack the remaining tumors in her brain. It’s called Gamma Knife, a high-intensity form of radiation. Nothing would make Summer happier than to know that while she was undergoing this all-day treatment, Team Summer was raising money to help Julia and her wonderful family. Can you help? Just click here http://teamsummer.org/donate/ and buy a Team Julia bracelet! 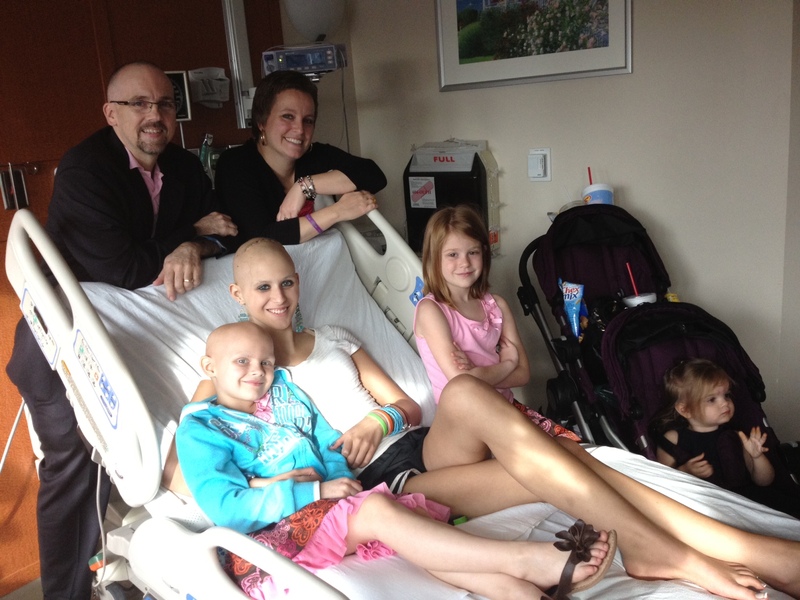 Give Summer a great surprise when she wakes up after her procedure tomorrow!